I took a break from making autumn cards and made a Christmas card for last week's Merry Monday challenge: use green, white and woodgrain. But... then I forgot to post it and link it up. Oh well. 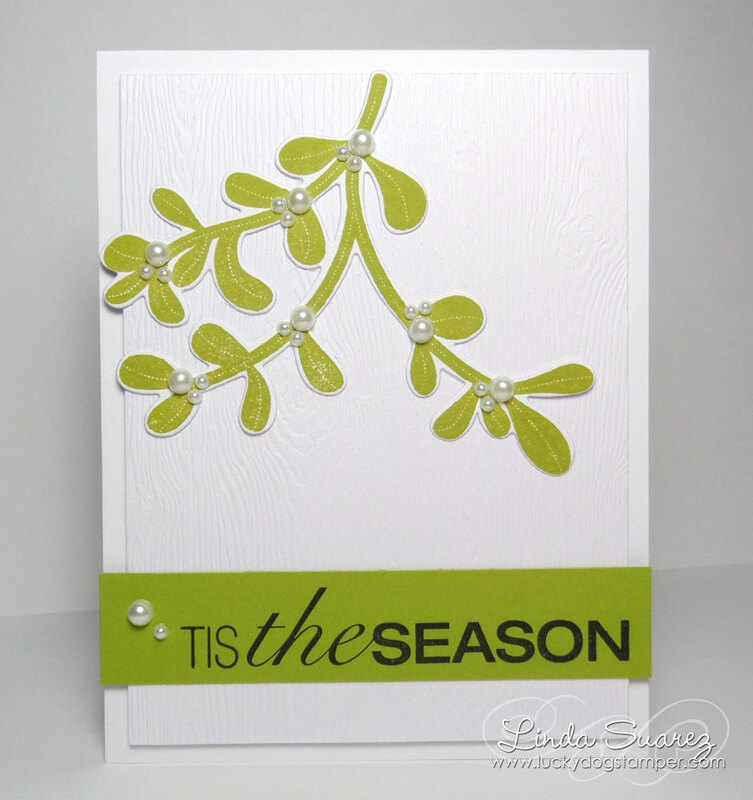 I used white woodgrain embossed cardstock I had and paired it with a large mistletoe sprig. I added white pearls for berries. Quick and easy.